A lot has been going on this past week. I would be lying if I said it was easy. A lot of work had to be done, which came with some emotional obstacles and frustrations. Not everything is rainbows and butterflies in New Zealand. I wouldn’t be human if there wasn’t some sort of conflict going on. One thing that has kept me going through the week was persistence. Persistence to know that everything I’m doing here will pay off in the long run. That’s what really matters. Out of the hard work Zach and I were putting in towards our project, there was some fun that got my mind off of things. Most of what I did for this week’s shooting was finishing up the last of the interviews. One day Zach and I interviewed a wonderful lady named Hiltrun, who works at Penguin Rescue at Katiki Point. What we thought would be an hour spent with her turned out to be a five hour venture through her opinions on what she thought about what was going on with the Yellow-Eyed Penguins and what she does for a living to save them from extinction. She was one of the best people to meet and she gave us amazing access to her life. We were able to experience Hiltrun rescuing two penguins so that she can nurse them back to their health to be released back to the wild. We left later in the evening when it was about dusk and off on the side of the dirt road that we were on were these fierce Highland Cows with these amazing misshaped horns. These furry beats were nothing I have seen before so of course I wanted to take a photograph, but at the time I wanted to do that, it was pouring rain and was very windy that rain was blowing sideways. I braced the cold, rainy weather for a few minutes to get the shot, while in the process ruining a piece of my equipment that I will have to do without until I return home to get it fixed. 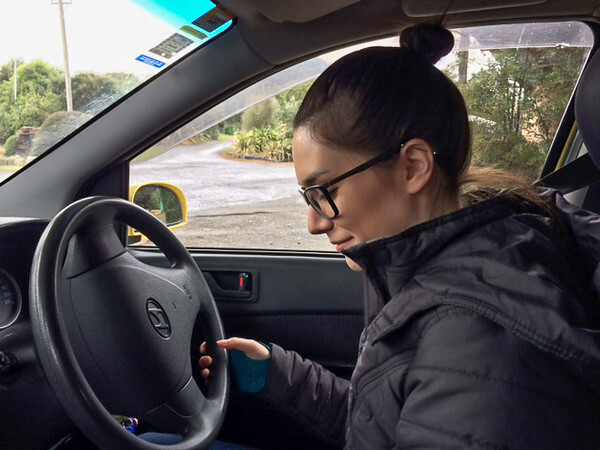 So far during my time in New Zealand, I have been relying on others (mostly Zach) to drive me around. Well, I finally built up the courage to try it out for myself once we added my name to the rental agreement. I mean, how hard could it be? You're only driving on the wrong side of the road, right? No big deal! 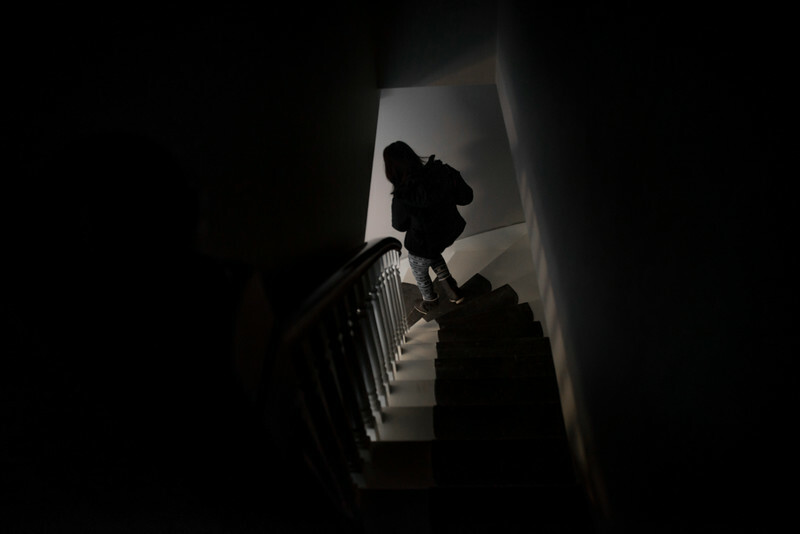 It was only fifteen minutes to the house on a windy highway road from where we were shooting. For the first five minutes of driving, I thought I was doing fine, then I look to my left and saw Zach holding on to dear life to the handle on the roof of the car thinking that I was going to hit the side windows off the car cause he thought I was too close the hillside and the side of the road. Let me tell you, if you haven’t driven in the other side of the road yet, know that you will always want to drift the car to the right so that your body is in the left hand space of the lane, regardless of the car’s location on the other side of the road and near the ditch. That fifteen minutes of joy riding was fun while it lasted because I don’t think he wants me to drive anymore, but I think I will do it again. Possibly. But it will most likely be when we leave Dunedin and are traversing the hillsides towards our other destinations. My friend and fellow classmate Bekah came down to visit Zach and I in Dunedin for a week. After being in the ruins of Christchurch for a few weeks, she wanted to get out and see the green scenery of New Zealand that she couldn’t see from within the city. We showed her around the city and explored new places. There is a tall clock tower in the middle of the city and Bekah had the grand idea to get to the top of it. So we walked into the building to see if we could get to the rooftop and the only thing that kept us from getting there was a locked door. We walked down the stairs with defeat. But we weren’t giving up yet. We eventually asked someone at the service counter to see if they could take us to the top. Due to safety issues, no one was allowed to go up there. But we were able to get to the roof adjacent to the clock tower to overlook the city, which was pretty cool. Thanks Bekah! After that, we went to the Dunedin Public Art Gallery. We were told by our professor that there is a room that you're allowed to put colorful stickers on the walls of this particular part of the museum. So the kid inside all of us said an eager yes to that. We went in and there were kids everywhere. We didn’t care. 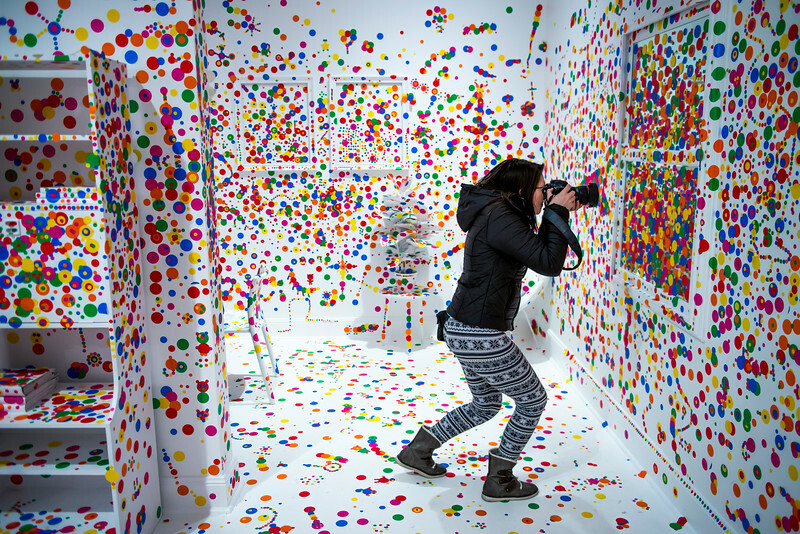 An employer next to the entrance handed us a wax paper full of technicolor stickers and went crazy just like the kids placing the stickers everywhere in this vibrant room. 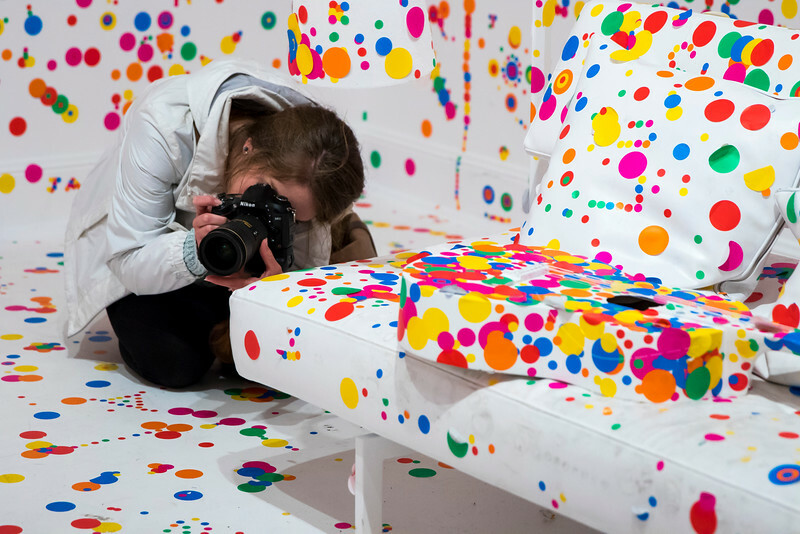 Every surface of the entirely white room was covered in various colors and sizes of circular stickers. That was definitely the best part of that art museum. A couple of days ago, Bekah had another great idea, this time, not to climb a building and get an aerial view of the city but to go horseback riding before she left to go back to Christchurch. She did some research and found Silver Stream Horse Ranch and Bekah, Zach, and I decided to go. I was beyond excited to ride again. I used to ride horses all the time and was very experienced, but I haven’t ridden a horse since my horse past away in the seventh grade, which was a while ago. The only experience since then was of years of dirt bike riding. I didn’t think it would be a huge issue except that a horse has a mind of its own and a motorcycle does not. I rode a retired race horse name Crunchy. He was a beautiful thoroughbred with an appetite. He would stop every so often to take a bit of the tall grass to eat while moving. At points it got annoying, but once I had him at a good pace like in a trot or a slight canter he would be fine. Zach and Bekah had different experiences though. Zach’s horse, Boe, would stop unexpectedly and not move, and Bekah’s horse, Filly, wouldn’t stop and nearly ran off of a cliff. It is safe to say that they were glad to get back to the pasture and to dismount their disobedient horses. Even though each of us had some sort of issue, we couldn’t deny how beautiful the mountain trail was. The trial that we took was gorgeous with mountains blanketed in tall pine trees and rolling green meadows covered by a nice cloud cover which made the weather perfect for riding. 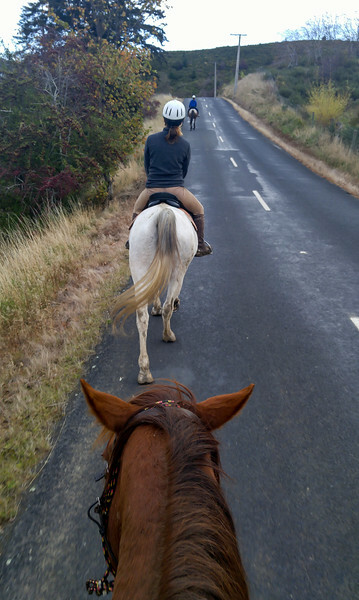 I wanted to horseback ride for a long time and to do it in New Zealand was perfect for me. So overall, it was a great day. During the next few days that I have left here, I will have to brave the stormy waters to do a water sequence for my film. I am not sure if I am looking forward to it as the water is freezing cold and for the past week it’s been raining and super windy, which will make it seem a lot colder when I get out of the water. Zach informed me that the sea temperatures are a mere 48ºF. Yay. It is a good thing I came prepared by bringing my wet suit, gloves, booties, and flippers to hopefully keep me somewhat warm for the few minutes I’ll be shooting. This water sequences is one that I wanted to do for awhile and I hope that I can do it well and execute it to the best of my abilities. During this week I also made a sneak peak trailer of my documentary Code Yellow. As you might know, it’s about the Yellow-Eyed Penguin, which is the most endangered penguin in the world and is located here in New Zealand. My colleague Zachary Kelly and I are continuing to try uncovering the reasons why they are going extinct and expose the reality of their hardships on land. We will show the grim reality of their plight from various perspectives of professional doctors and scientists, and the people who care for them directly, devoting their time and energy to save this beautiful bird. I hope you all enjoy the trailer!